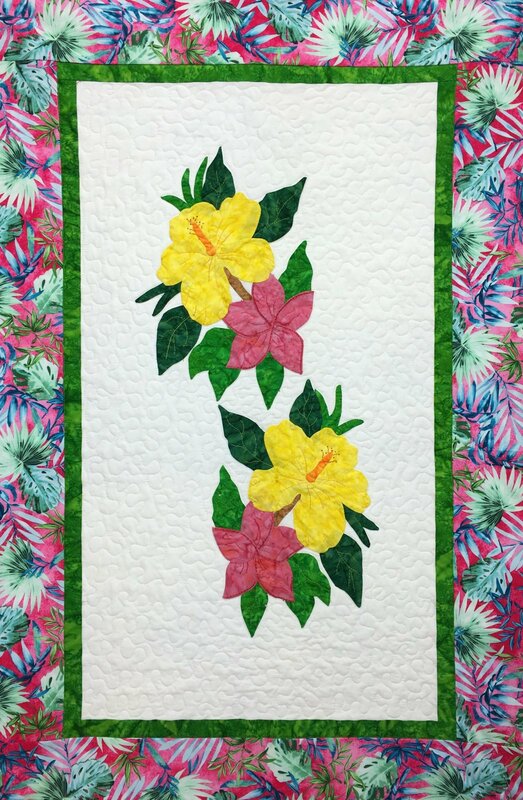 Hau'oli Aloalo - Happy Hibiscus. 31in. x 47in. Contemporary applique pattern includes full size templates and instructions for hand and machine applique.